Have you considered the father-son relationships, of young boys holding their fathers in exaggerated high esteems, bordering on unjustified hero-worship? “My daddy is bigger than your daddy,” is a common face-saving retreat when young boys are about to lose a playground fight. My story today, based mainly in the upcountry town of Welarabanda (not its real name) is about one such young boy and how his image of his hero was shattered when, one afternoon, he saw his father in tears. That discovery the boy made, of his — “My daddy is the best daddy in the whole world” — father crying had consequences which we will see later in this story. First, I have to set the political context in which the story takes place. We start in the Bridgetown pub where my friend, the Sri Lankan Tamil fellow Sivapuranam Thevaram and I discuss the latest developments in Sri Lankan politics. It is almost 50 days since elections took place in our country. A government which took abuse of power to stratospheric heights was thrown out of power. A soft-spoken government official sporting a scruffy beard became our national hero for just doing his job with determination. The morning after, the ousted President stood on the window-sill of his family home and made a speech that removed any doubt one might have had about his fundamental political philosophy: racism. For those who don’t understand Sinhala, translations of the sentiments in his racist speech continue to flood this forum and elsewhere, masquerading as political analyses. It is common sense reaction, for it is the well tried and tested way back into power. That change of government that happened 50 days ago has to be hailed as a substantive demonstration of democratic politics. Violence was minimal. Participation rate was very high. The Tamil National Alliance behaved with exceptional responsibility. What’s more, the most trodden parts of our society, the people of the Vanni, came out in large numbers and voted. Some think of their participation as a revenge vote. That is a superficial view. Deep down, they were making a clear statement about their exercise of citizenship of our country. They knew the change was good. Against all odds, they voted to achieve that change. Recall just ten years ago, their franchise was stolen at gun point. “Vote and have your hands chopped off,” they were threatened by the fascist terror group who, we are told, had taken a bribe from their war mongering counterpart whom they wanted to win. You guessed right. He was referring to the resolution passed by the Northern Provincial Council which declared that, generally over a period of time since the suddha (white man) left the island and in the run up to the end of the war in May 2009 in particular, genocide has been taking place in Sri Lanka. That G-word has been a hot topic in Tamil political discourse for some time. Experts debated over its definition. Does a lot of killing amount to genocide? What should be the scale of killing? Should the population be reduced by some percentage before the G-word applies? Should one be able to establish intent, and how exactly does one prove this? At a meeting in Kings College London about a year ago, British journalist Callum Macrae had a cute take on the last of the above points: “Behaviour now, is proof of intent then!” he observed. We started exchanging a series of punches, trying to outdo the other between sips of Peroni. You find this exchange funny. Two drinking friends are agreed on a list of idiotic acts. But they argue if any of those is actually more idiotic than the sum total of all the rest. Surely it cannot be possible to have a set in which any of them should outdo the sum of the others? Yet that is a real conundrum that often arises in the way Tamil politics evolved. A whole new academic discipline of Mathematical Politics is needed to understand this phenomenon. Let us go several decades back in time. In July 1983, a young man by the name Ram (not his real name), who taught at a technical college, was killed during the state-sponsored rioting unleashed on the Tamil people of our country. It was a particularly gruesome murder. His tongue was cut off and his eyes gorged out. “Let’s see if you can teach now,” his assassins screamed in frenzy. It was not just inside the Welikada prison we saw such brutality that day; it was being played just outside one of Sri Lanka’s finest institutions of tertiary education, too. Ram, you will guess from the name, was Tamil. You might even jump to conclusions and think I am trying to link the treatment meted out to Ram with the resolution passed at the Northern Provincial Council, because that sort of thing features prominently in the Resolution. You are wrong. Ram is from the upcountry. 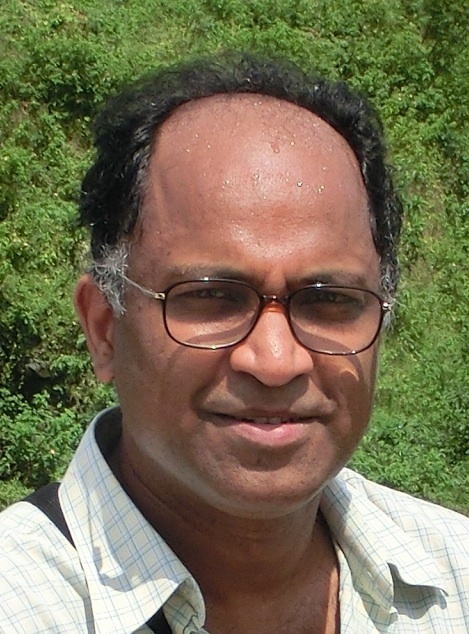 His ancestors were brought to Sri Lanka by the suddha to work in tea estates. The semi-slavery conditions under which they live and work is what puts Sri Lanka on the world map for the fine tea we export. But there is no link between Ram and the resolution. 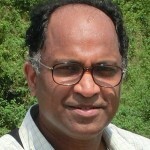 Tamil Nationalism – which defines Tamils as a nation and claims that the definition enshrines upon that nation a right to self-determination – does not accommodate the tea estate workers. Ram went to school in the town of Welarabanda where the young boy I mentioned earlier in this story also schooled for a few years. The school had two streams: a Sinhala medium one and a Tamil one. Almost all teachers who taught in the Tamil medium came from the North and almost all students were from the tea estates. Education was difficult for these kids. They lived in housing estates known as lines. In Western architecture, they are described as terraced houses, except you had to do substantial scaling of floor area, packing density and poverty before the comparison becomes real. In such background of abject poverty, education for the likes of Ram was a challenge. Ram, however, rose to this challenge. Statisticians would call him an outlier. He was good in arithmetic, algebra and calculus! Largely self-taught, Ram did not stop at passing his exams. He conducted evening classes for the estate children. He encouraged them to study. He instilled in them the view that education was their way out of poverty. “A ray of light” and “a beacon of hope” are phrases you would use to describe Ram. Ram was one of the very first from the environment of tea estates to get access to tertiary education. He studied, passed his exams at school, graduated from university and taught. Now the fifteen year-old, had heard about Ram from his father who taught suddha language in that school. As I mentioned earlier in this piece, the father was the young boy’s hero – the best daddy in the whole world. Before moving to Welarabanda, they used to live in the North of Sri Lanka. 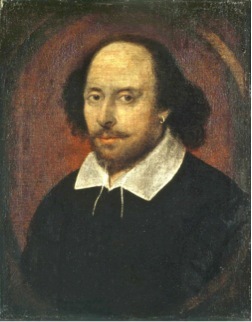 His father’s class would stage plays by Shakespeare in annual school events. That was very impressive to the young boy. “Your students staged Shakespeare, appa (father)? Wow, in a school that did not have running water or electricity?” the boy would ask. “I had some very keen students,” the father would give all the credit to his students. And then came that dreadful afternoon when the image held by the boy was to be shattered, because he saw his old man in tears. But the proverbial cat had to be let out of the bag when the mother intervened and pulled the truth out of the man, just as a skilled dentist would do to your teeth with pliers. A few weeks previously, the father had been promoted to be head of the Tamil medium of that school in Welarabanda. That particular day, he had gone into the staff common room where a teacher (from the North of Sri Lanka) was sitting, chewing on his daily portion of betel leaves and reading the Suthanthiran newspaper. The man would do it the whole day, every day: chewing his betel leaves and reading the Suthanthiran from the common room. No statistician would describe that behaviour as outlier. It was well within the confines of the bell curve of behaviours. The new head of school, had reminded the schoolmaster that he should be in class. “Why are you making a fuss?” the schoolmaster had reacted, “these thOddakkaaddu (tea estate) fellows don’t need any education – after all, they are going to pluck tea leaves, aren’t they?” He had then proceeded to chew another helping of beetle leaves and buried himself in the pages of Suthanthiran. “We are only witnesses,” the father had told the boy, wiping his tears. “An outlier I can probably deal with, but not the whole of the mass inside the bell curve.” He stepped down from his administrative responsibility and concentrated on teaching. A few months later, an English class from that school in Welarabanda acted out a play from Shakespeare. Times had moved on, we note, this school even had running water and electricity. Several years later, according to my drinking partner Thevaram, the little boy in the story had grown up and become a professional statistician. Predictable isn’t it, given his exposure to the bell curve and outliers at such young age? As a statistician he engages in a lot of hypothesis testing: define the null hypothesis, evaluate alternatives the null to check if they have merit.